A minimum of a ‘C’ grade in Year 10 English and Maths. Are you interested in the way that we think? The way that we feel? Or even the way that we behave? If so, Psychology is the course for you. It aims to answer important questions such as what motivates people and what factors influence their development. Psychological knowledge helps us understand factors relating to individuals such as the way we think, biological influences and personality. Think about your peers out in the school yard – how many different groups could you identify? Do they share certain characteristics that bind them together? Psychological knowledge helps us understand the way individuals form groups, function within groups and interact with other groups. This consists of knowledge associated with socialisation, moral development, the formation of attitudes and how people relate and communicate. On a larger scale, psychological knowledge can be applied to society as a whole, helping students to understand how individuals function within different contexts and how this is influenced by culture, shaping people's values, attitudes and beliefs. Students will be involved in the exploration and analysis of data to illustrate how scientific research methods are used to examine phenomena such as intelligence and personality. Have you ever wondered whether being a certain starsign, or being born in a particular year or even if you’re the oldest sibling would affect your personality? Unit 1 in Year 11 Psychology is an introduction to personality and intelligence and looks at how individuals are influenced by their surroundings. Theorist such as Freud, Eysenck and Maslow are introduced, as well as exploring, participating in and evaluating the accuracy of personality testing, emotional intelligence testing and how personality is formed. Students will be participating in activities that explore our senses and how we communicate both non-verbally and verbally. We will explore how important it is to collect different types of data, and how to analyse and evaluate this to make conclusions about certain types of behaviour and situations. The brain is a mysterious and interesting place, and Unit 2 looks at the role the brain plays in the way we think and the behaviour we demonstrate. 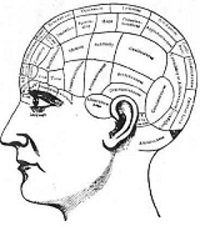 Students will be looking at what areas in the brain control our senses, our ability to communicate and our memory. They will explore factors that affect the brain, starting with developmental functions at an early age, leading into looking at how outside substances change the chemical makeup, and consequently, how this impacts on our behaviour. In this unit, students will be comparing groups, investigating the role of stereotypes and how cultural attitudes can shape the way an individual thinks, without them even knowing it. A General Psychology course is a fantastic subject in which to explore the nature of human behaviour, thinking and relationships. It is extremely useful in gaining insight into how people operate as individuals, within group situations and as a part of society as a whole. This course is great for students studying in a General course pathway; those who are heading into the workplace after school and those who want to develop skills in a discussion based, engaging and interesting class. The study of psychology is highly relevant to further studies in health professions, education, human resources, social sciences, sales, media and marketing, and aims to provide a better understanding of human behaviour and the means to enhance quality of life. Potential excursion(s) up to $90.